Let’s be clear right from the outset. These are new style “Tactical Analysis” videos. You won’t see usual “old school” type footage with players demonstrating drills and exercises. No. These videos go much deeper and include actual real game footage, where the coach analyses the tactics, breaks down movement, sequences, combinations, goals, etc. and then describes training sessions you can do to help train your team to produce the same style of play. 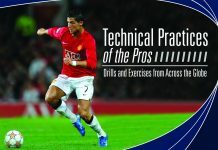 Also included is an eBook of all the training sessions covered in the video. The video series is 60 minutes long, but to give you an idea of the quality of its content, I have posted a sample video below. So, if your team is struggling to find the net and lacks creativity in front of goal, there is no better team to look to for inspiration than Barcelona. During Pepe Guardiola’s reign Barcelona won 14 trophies in just four years, while under their new manager, Tito Vilanova, they went on a run of 23 games with just one loss, during which Messi scored 34 goals on his own. Now you can discover exactly how Barcelona are able to score so freely, with moves that slice through opposition defenses like a hot knife through butter. Get instant access when you place your order and you can be watching these videos within minutes. Attacking the Barcelona Way is a special video series that provides in-depth analysis on how Barcelona is able to score so frequently. Unlike our normal videos, Attacking the Barcelona Wayuses real game footage with expert technical analysis to explain how Barcelona’s players position themselves for the attack, the moves they make to get into space and where they pass to punch through defenses like through a paper bag. What’s more, every video includes drills and training sessions you can use to coach your players in the mindset and technical skills needed to play like Barcelona. Partnering the videos, you also get an eBook which includes all the training sessions for you to print out and use on the training pitch. Coaches all over the world dream of replicating Barcelona’s probing style of diagonal runs and defense splitting passes that literally leave opposition defenders standing still. 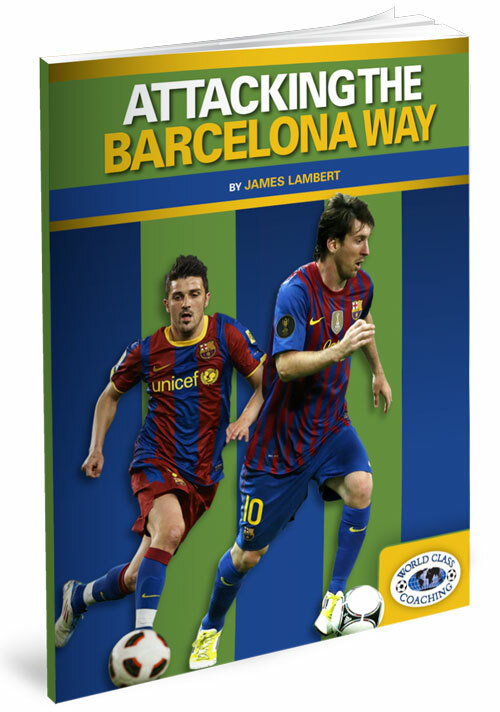 Now you can discover how in Attacking the Barcelona Way. When Pep Guardiola took over the reins at Barcelona in 2008 he brought with him the tiki-taka style of soccer; a concept since adopted by the now dominant Spanish national side. Instead of long balls into the box, this style of play uses possession, flair and creativity to create abundant goal scoring opportunities. Attacking the Barcelona Way shows you how the tiki-taka style of soccer is utilized in the final third of the pitch. With a focus on goal scoring, this special video series uses real game footage to show you the Barcelona system of play in action and explains how you can adapt it to your own team. Whether you coach youth teams or players at an elite level, every team can benefit from being taught how to keep the ball and to create more goal scoring opportunities like one of the most dominant sides in modern soccer. Born in hull, England, James moved to Sydney Australia when he was 18. James Lambert began his coaching career various clubs in the lower NSW State league, Lambert also co-founded Aussie Soccability, a coaching organization dedicated to designing programs and training for players with special needs. In 2009, Lambert joined the under 18s coaching staff of the New South Wales Premier League side Blacktown City Demons. The following season Lambert moved on to join the Marconi Stallions as the under 18s coach before progressing to become the clubs Youth technical director, with the responsibility of developing the club’s youth development program. Lambert has also been working as a technical assistant for AS Roma, Sydney, and England schoolboys under 18s, creating e-learning courses which teach the players key principles and drills they can then practice on the training pitch. Lambert has also written for the Spanish Futbol Tactico magazine, with one recent article translated into multiple languages for coaches all over Europe. Lambert holds an AFC/FFA Advanced A Coaching License, an FFA National Conditioning License and an SAQ International Advanced Trainer Diploma. The videos of real game footage in Attacking the Barcelona Way analyze the team’s attacking style, tendencies and how they break down some of the best defenses in the world. Utilizing replays from various angles, highlighting techniques and replays, Lambert explains exactly how goals are scored and the tactics you can adopt to improve your own team’s scoring record. In the first video Lambert breaks down goals by Messi, Villa and Alba. He looks at the build-up play and the importance of quickly transitioning from defense to attack once the ball has been won back. For each goal, Lambert looks at the starting positions of all the players and then how they make positive runs forwards into the box, both to draw defenders and to be in position to receive passes when through on goal. In this video Lambert also provides a drill for creating wide attacks like Barcelona. The drill features three progressions, which will help your players how to receive the ball while being marked, how to make diagonal runs to out fox defenders and how to draw defenders to create space. In the second video, Lambert analyses how Barcelona were able to successfully break down Manchester United’s defense in the Champions League final. This includes profiling Messi’s ability to draw defenders out of position and how Barcelona’s forwards drop off to show themselves before receiving passes that split opposition defenses wide open. After analyzing Barcelona’s goals, Lambert provides a positional 5v2 grid game that will improve your players’ movement off the ball, positioning to receive the ball and the development of a creative player that can dictate the attack. In the final video, Lambert analyses how Barcelona’s players make penetrating runs, how other players move into support and how Barcelona’s patience to restart buildups pays off in creating more goal scoring opportunities. In particular, Lambert looks at the explosive runs of Messi and how he is able to bounce pass off other players to help him get into position. The second half of the video features a training game that will help your players learn how to create the bowl shape Barcelona adopts in the final third. This shape provides lots of opportunities to move the ball around and to make diagonal runs. What’s more, Lambert then discusses the role and responsibilities of every player in the Barcelona attack. Attacking the Barcelona Way also includes an eBook with passing exercises, positional games and game training for coaching your players in the movement, timing and technical skills needed to emulate the Spanish champions. Barcelona are renowned for the tiki-taka playing style, where they rarely play high balls into the box but instead rely on quick passing, possession and pressing quickly to score goals. Over the years many other teams have sought to adopt the same style of play but rarely are they able to do it with the flair and creativity of the Catalonian champions. 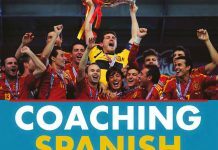 Any coach wishing to play like Barcelona can benefit from this video series. With footage of real games, Lambert explains exactly how the Barcelona players are able to get in position to create goal scoring opportunities. You can watch as he explains how the Barcelona system works, with players dropping off, pulling opposition defenders out of position and making diagonal runs into the newly created space. Everything is explained step by step so you can apply these tactics to your own team. What’s more, the training drills provided in the videos and eBook will coach your players in the technical skills and mindset they will need to play the Barcelona style of attack successfully. This includes drills to improve their passing accuracy, the ability to drop off defenders when receiving the ball, diagonal runs into space and controlling possession until an attacking opportunity arises. 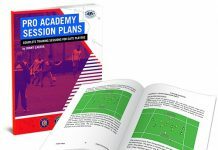 “Attacking the Barcelona Way is a great resource for coaches who are looking for ways to model their sessions to encourage quick combinations and develop scoring opportunities in the attacking third, just like Barcelona. I especially like how coach Lambert broke down the development of each goal and analyzed the build up and tactics. 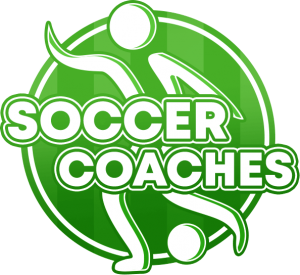 Watching these videos has helped me create training sessions for my own team to try and achieve the same quick passing and attacking style of Barcelona.” – Phil Danelon, ON Tecumseh Soccer club, senior level coaching license. Some coaches prefer books and some prefer videos for their coaching material. We will give you both. 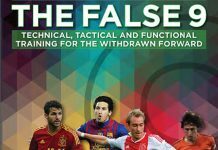 We have created an eBook showing all the drills and exercises in the videos and it’s your FREE when you order Attacking the Barcelona Way video series. So now you can look at a written description and easy-to-read diagrams while you follow along with the videos. If you’ve ever wanted to replicate the flair and creativity of Barcelona in the final third you can find out how through watching Attacking the Barcelona Way. It allows you to sit down, grab a notepad and watch as real footage of Barcelona attacks are replayed from various angles and analyzed to explain exactly how they are able to so easily unlock the best defenses in the world. You can then take these concepts onto the training pitch with drills and exercises, provided in both the videos and accompanying eBook, which are handpicked to replicate the way Barcelona plays. The result is that your team will have a better understanding of how to keep possession, where they should be moving to both dislodge defenders and how to play with more flair and creativity in front of goal so they can score more often the ‘Barcelona way’.